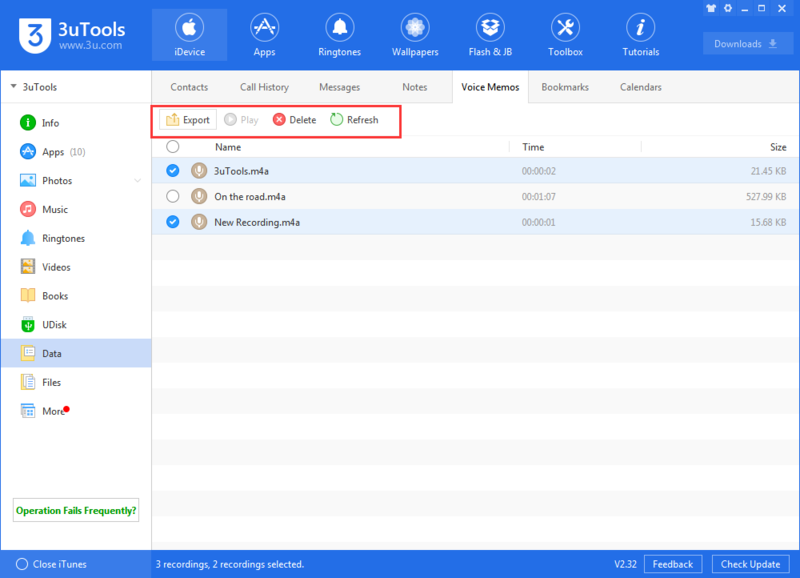 tutorial|How to Manage iPhone’s Voice Memos Using 3uTools? 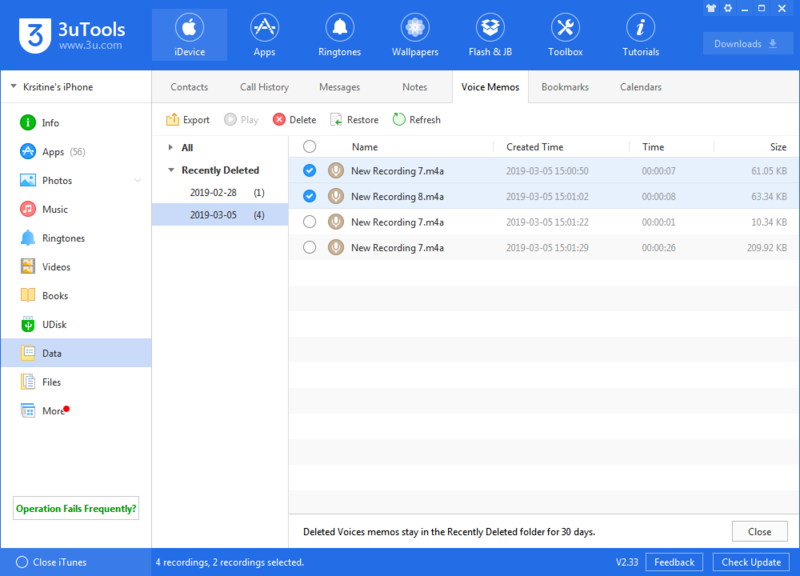 How to Manage iPhone’s Voice Memos Using 3uTools? How to export my voice memos from iPhone to PC using 3uTools? How to delete my iPhone's voice memos using 3uTools? 1. How to export my voice memos from iPhone to PC using 3uTools? Step2: After it's successfully connected, please click "Data" on the left side → click "Voice Memos". * Please check the update in 3uTools, the interface may be different. Step3: Choose the voice memos you want to export → click "Export". Step4: As shown in the following picture, you can decide if you need to create a new folder to save your voice memos. You can click "Create", then wait till this process is completed. 2. How to delete my iPhone's voice memos using 3uTools? Please select the voice memos you want to delete, then click "Delete". What's more, you can directly delete it on your iPhone.